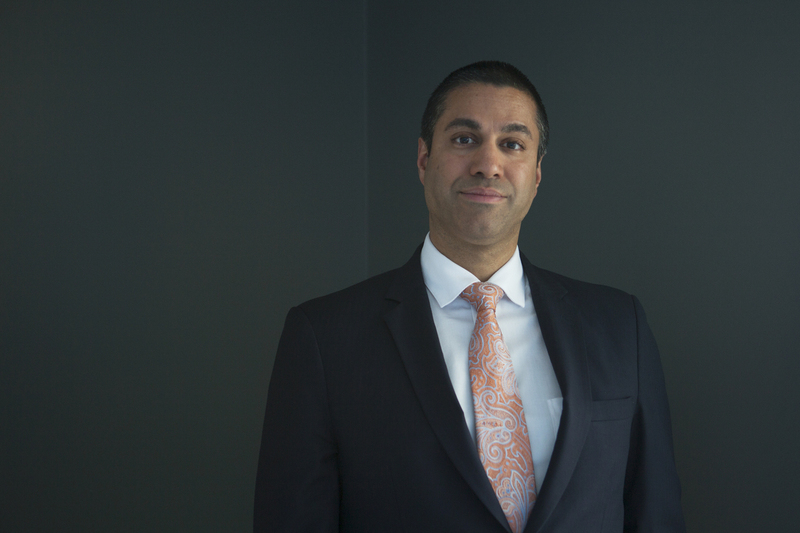 Federal Communications Commission Chairman Ajit Pai has started the process to roll back Obama-era regulations for Internet service providers. This term in recent history has come to encapsulate the idea that Internet providers should treat all web traffic equally and fairly, but Pai opposes the regulatory approach to enforcing net neutrality that was adopted by the FCC's then-Democratic majority in 2015. Those rules dramatically expanded the agency's authority and oversight over Internet service providers, classifying them more like utilities, similar to traditional telephone companies. In an interview with NPR's David Greene, Pai says he wants the government to focus on correcting actual anti-competitive behavior that Internet providers might demonstrate, rather than regulating against hypothetical harms. "Preemptive regulation is appropriate when there's a major market failure — when the Internet is broken," he says. In this case Pai argues that his predecessor, Tom Wheeler, unnecessarily inserted the government into the Internet economy, stifling its innovation and growth. I believe strongly in a free and open Internet, not just as a regulator but as a consumer. And if you look at how the Internet has developed over the last 20 years, I think part of the reason why we have the digital economy that's the envy of the world ... it's precisely because we've had a free and open Internet that's benefited everybody in the Internet ecosystem. I think I would separate it into two different pieces. The first piece is that the Internet is increasingly essential to Americans in their daily lives. When you go to work, you use the Internet; when you want to educate your kids at home, you use the Internet. ... Even things like precision agriculture require Internet connectivity. So to achieve that goal of providing Internet access, we need to make sure that we have rules that promote much more infrastructure investment than we've got. The second piece, however, is a much more arcane legal question, which is, what is the right legal framework to secure those protections of a free and open Internet? Is it the Title II [utility-style] regulations inspired by the 1930s? Is it the Clinton-era approach, which is light-touch regulation? Should Congress step in in 2017 and give us more modernized rules for the digital road, so to speak? That is a debate that we're having here in Washington today. First and foremost, we want to make sure that all content that is lawful on the Internet can be accessed by consumers — that's a bedrock protection of the open Internet that I think everybody would agree with. ... But secondly, we want to make sure that we have the ability to allow all kinds of streaming companies, others who create content on the Internet, to be able to reach their endpoints, which is the consumers. And so we can envision some pro-competitive arrangements that allow for video in particular to be delivered in an efficient way. And one could conceive anti-competitive arrangements. And the simple point I've made is that we can't predict in advance every single potential type of outcome — some might be good, some might be bad — and on a case-by-case basis let's figure out what types of conduct are anti-competitive or otherwise would harm consumers or innovators, and take action if we see something like that arise. If you act before the fact, then you're preemptively saying that we think the marketplace is forever going to be the same and we can take account of every particular kind of conduct and say that, "you know what, it should be unlawful." And if the agency is going to do that, it has to recognize that there are severe potential unintended consequences. After-the-fact regulation — which allows you to take action, again, based on actual harms that have been demonstrated in the record — is a much better way on balance to protect consumers. As opposed to preemptive regulation, which might seem appealing at first, but which has serious long-term consequences. And the economic literature is pretty rich on this, that preemptive regulation is appropriate when there's a major market failure — when the Internet is broken. And the point I've simply made is that, if you look at the Internet that we had in 2015, we were not living in some digital dystopia. There was nothing broken about the marketplace in such a fundamental way that these Title II regulations were appropriate. I think that anti-trust and consumer protection authorities stand at the vanguard to make sure that consumers and competition are protected. Editor Amy Isackson of Morning Edition contributed to this report.